Whip Up a Gado-Gado Dinner with Quinoa! Quinoa is a delicious grain no matter how you cook it, and there are simply so many ways! One of our favourites comes inspired by a dish by Minimalist Baker (minimalistbaker on Instagram), which combines the healthy benefits of quinoa with the delicious and exotic spices of the Indonesian Gado-Gado. Gado-Gado is a salad that is unlike any other salad you’ve ever tried, and you’ll be wanting to have seconds or even thirds once you’ve made it! Here’s what you do. While cooking your quinoa, steam your vegetables. 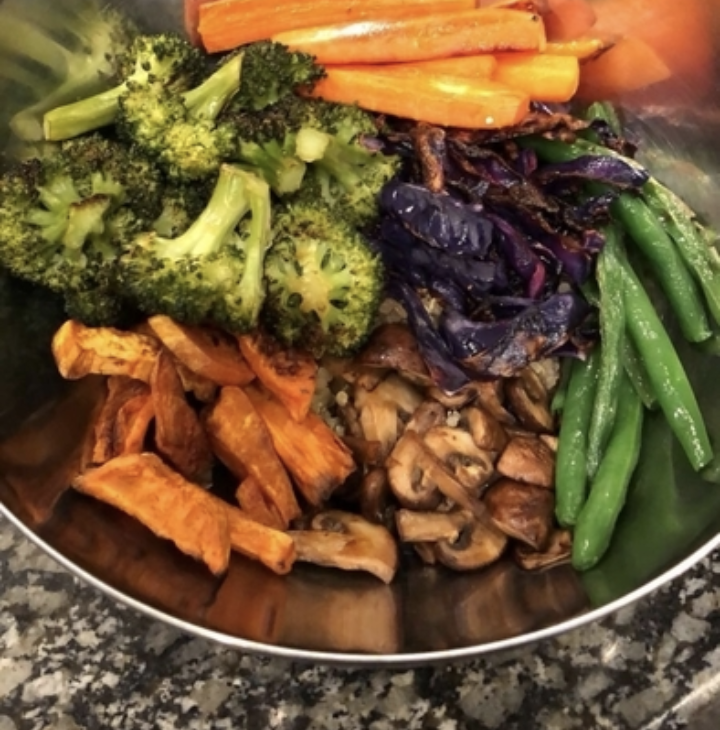 We like red cabbage, carrots, broccoli, chickpeas, green beans, as well as some mushrooms. They are healthy and also give your dish a lovely range of colour! The most important part is the sauce. Add peanut butter, tamari sauce (or soy sauce for non gluten-free), maple syrup, lime juice, and chili garlic sauce/red pepper flakes/minced red chili into a mixing bowl and whisk. Add a little bit of water until a thick sauce forms. Here’s the fun part: taste it, and add whatever you need to make it your own – if your family prefers a bit of heat, add more spice. If they prefer a sweeter sauce, add more syrup. If it needs more salt, add more tamari/soy sauce. For a sharper, more acidic flavour, add a bit more lime juice to the mix. Once your quinoa is cooked, serve them in bowls, topped with your vegetables, then the sauce. The sauce keeps for a week, but it’ll be so good you’ll be fininshing it all before then!